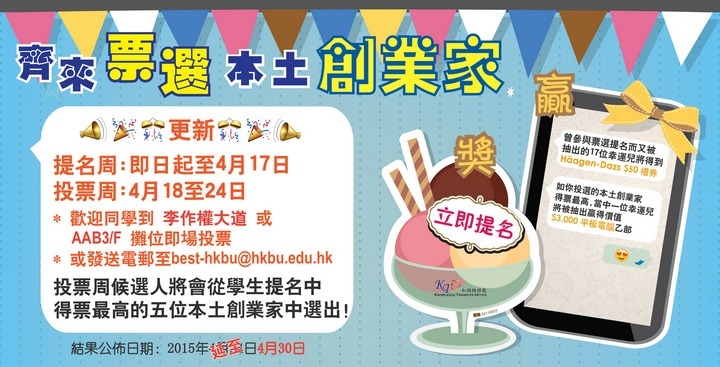 [Updated] Choose your favourite local entrepreneur and win prizes worth over HKD$3,000! Note: VOTE AMONG TOP 5 LOCAL ENTREPRENEURS who are nominated by the students during the nomination week!! !